Preventing churn is critical to retaining customers and improving your bottom line. Nowhere is this more important today than in your app: a channel built with the primary purpose of keeping users engaged and interacting with your brand again and again. Your customers are driving the evolution of brand interactions based on the experiences they want and providing value in your app is necessary to meet these evolving expectations. But doing this is still a challenge for many organizaitons today. One way to direct this challenge is by measuring churn, and further, identifying churn risk factors. With the right analytics tracking software in place, you have access to insights you need to define churn risks specific to your app. Any type of churn is often a factor of usage patterns and user attributes. This means looking at how users interact with your app and their behaviors. It also means looking for underlying commonalities in user profiles that can be associated with churn and at specific content these users are viewing. Consider a movie streaming app that specializes in delivering comedic content. Within this app, many new users who watch a specific standup episode during their first session don't return to the app within 30 days. If this isn't the case for other content, this is a churn risk factor that indicates the app should delete or bury the episode within the app for later consumption. The most effective way to start defining and measuring churn is by having a baseline definition that’s solely tied to usage. In this scenario, churn is defined by the absence of any activity in your app. So if a user hasn’t returned to your app in a full month, you should consider them a churned user. We’ve found this to be a commonality across most apps and verticals. And in the age of micro-moments and increasing app usage, a month is too long of a gap. If you start with this definition as your baseline, you can easily and immediately surface your most at-risk users while you continue to build out advanced definitions and discover the churn factors specific to your app. To go beyond the basics and create your own definition using the right risk factors, you need to dive deeper into usage and attribute parameters. Event(s) that need to be absent in order for churn to occur: These are the in-app events that are critical to your growth, revenue, or engagement strategy. Users who don’t complete them are considered high-risk audiences. For example: if you’re a retail app, prompting an in-app purchase is important. 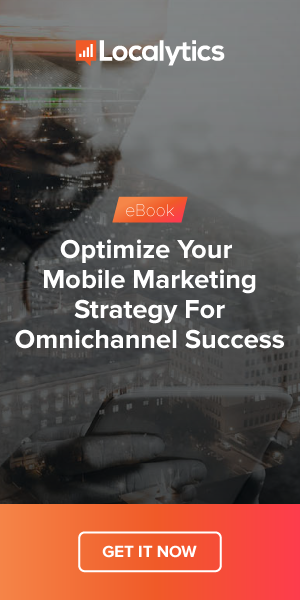 It's an event that has a direct impact on your mobile ROI and the lifetime value of participating users. Users predicted to not perform the purchase event are at a high risk of churn. The window of time in consecutive days, weeks, or months in which these events need to be absent: A news app and a travel app are most likely going to have different perspectives when it comes to deciding the amount of time appropriate for signaling churn. While a 15-30 days absence is a huge risk warning for news publishers, in the travel space, it’s more common. How you monetize your app plays a role in how you define churn, primarily because the intended goals are different. One common monetization model is the use of ads in-app. In this case, your app is relying heavily on an increased number of ad impressions to boost click-through rates that result in more ad revenue. If you have a subscription service revenue model, your churn factors will most likely be different. The events that involve usage patterns with viewing and sharing content will be the same, but instead of ad impressions and ad clicks, you’ll want to track factors related to purchasing or not purchasing a subscription, free trial, or limited time offer. With your churn factors identified and a definition in place, you now have the foundation needed to produce insight into which users are most, somewhat, and least likely to churn -- and, more importantly, why. Leading with insights derived from churn data will elevate your mobile strategy from being reactive to proactive.